Eastshade Announcement, DO games | Porting and technology solutions for Indie developers. It's a new year, and that means new projects! We are extremely proud to announce that we'll be bringing Eastshade to consoles. 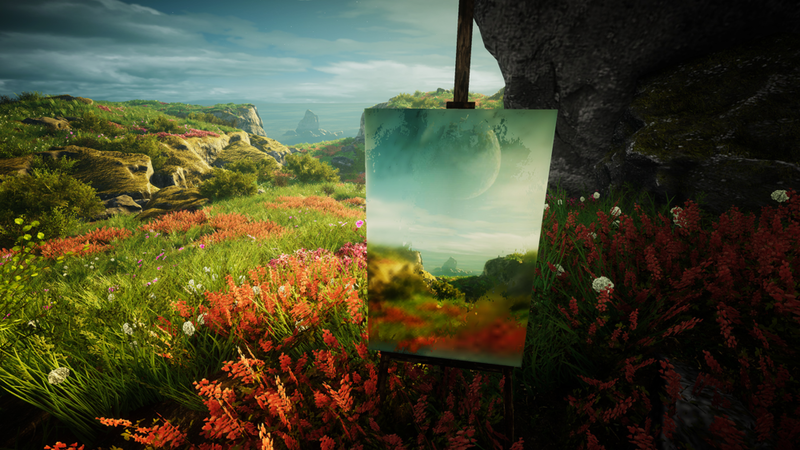 Eastshade is a visually arresting first-person, open world exploration game where you are a traveling painter, exploring the island and capturing the world on canvas using your artist’s easel. Talk to the inhabitants to learn about their lives. Make friends and help those in need. Discover mysteries and uncover secrets about the land. Surmount natural impasses to reach forgotten places. Experience how your actions impact the world around you. We are really looking forward to ensuring that Eastshade looks and plays wonderfully on console. It will certainly be a challenging project given the stunning visuals but at DO we pride ourselves on realising all titles in their best light. The PC version launches on February 13th 2019, check back soon for more details on the console releases. In the meantime take in the breathtaking visuals in the trailer below.